We have finally seen official confirmation come from Apple in the form of their Press Invites which has been dished out over the last 24 hours. The invites are for an event that takes place next Tuesday. The Apple conference will take place at 10AM Pacific Time on October 22 at the Yerba Buena Center for the Arts (San Francisco). On the event invite (pictured above) you will see the words “We still have a lot to cover” another strap-line that leaves the imagination running wild, as always. Will we see a retina version of the iPad Mini 2 announced next week? 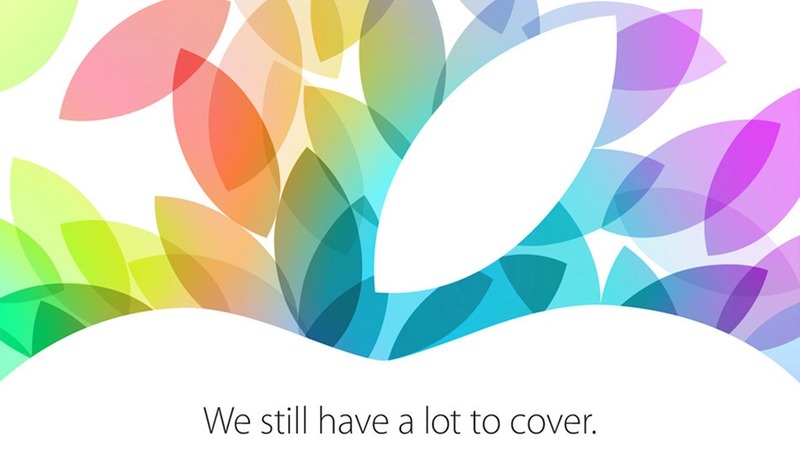 Will both iPads be in the same three colors that we saw in the recent iPhone event in September? Will the iPad 5 design look similar to that we have come to see in the Mini versions? These are still so many questions on the lips of Apple fans across the world, but we just wont have solid proof of any answers until the launch date. Some of the firm rumors are stating that the 5th Generation of iPad will hold a 64-bit processor (A7), TouchID and an improved 8MP rear camera. As for the iPad Mini 2 we have heard that there is a slight size difference, which could come down to the fact that retina displays are present. The cases for the device are about 0.2mm wider than the previous iPad Mini, pushing the size from 134.7mm to 134.9mm. Whatever happens in San Francisco Tuesday, we will provide a complete round-up on the blog.